My daughter is in love with Chocolate Chip Waffles. It’s the one breakfast item that she requests again and again. When we got our waffle iron last year, I set out to find the perfect, go-to chocolate chip waffle recipe. Believe me, it was a task easier said than done. I went through and modified dozens of recipes to find one that had the right texture and flavor. All that trial and error was worth it, though, because I FINALLY have the Perfect Chocolate Chip Waffles Recipe. 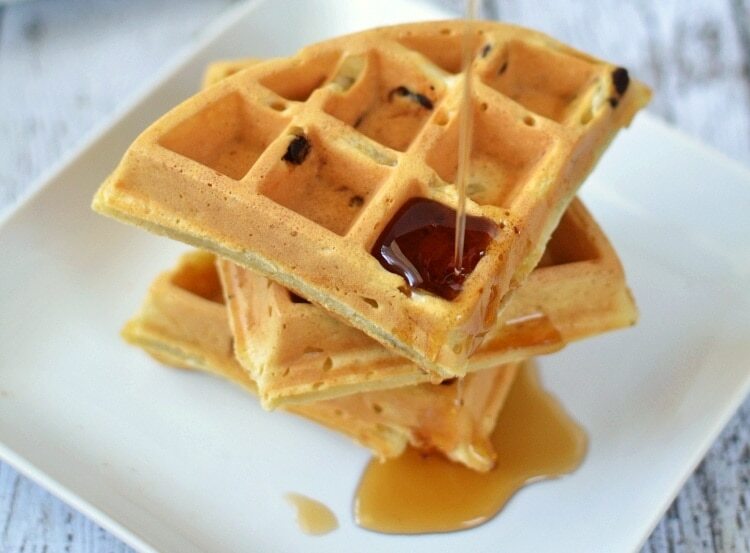 Light and fluffy, with just the right amount of sweetness from the chocolate chips, these waffles are hands-down the best I’ve ever made— chocolate chip or otherwise. Give them a try and tell me what you think. In a large bowl, mix milk and either white vinegar or lemon juice. Let sit for 10 minutes. In a separate large bowl, whisk together flour, salt, sugar, baking soda and chocolate chips. Once 10 minutes have passed, add eggs, melted butter, and vanilla to milk mixture. Whisk thoroughly. Slowly combine wet mixture into dry, mixing until batter is smooth. 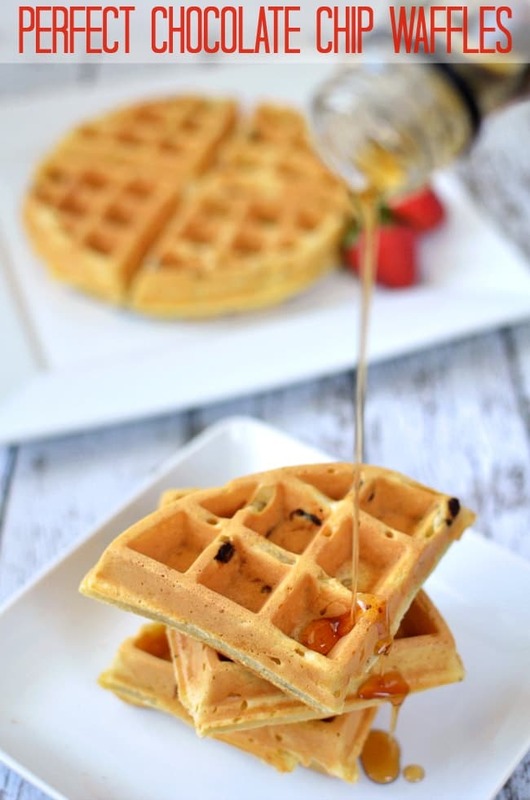 Pour batter into waffle iron as directed — I used setting 3 to get a light, golden color. Serve plain, with whipped cream or maple syrup. You could even have these for dessert with a scoop of ice cream!